Apart from telling people he's actually seen murder videos that only the CIA has, and that he would arrest the leader of a Middle Eastern nation and throw him in jail, former Virginia Governor Terry McAuliffe says he's "seriously considering" challenging President Donald Trump in 2020. 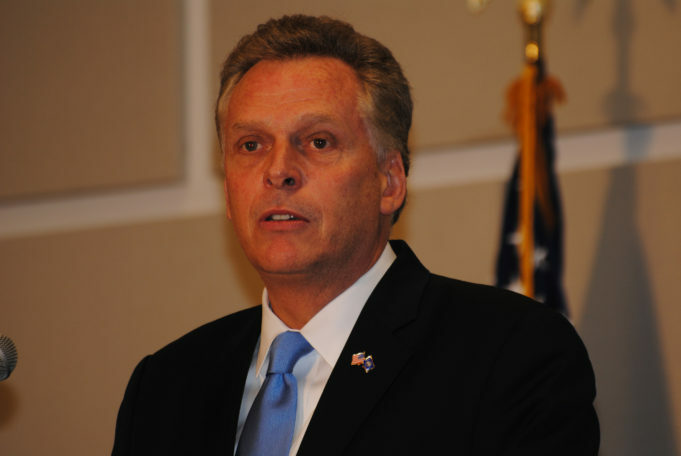 Recently on the John Fredericks Show, former Virginia Governor Terry McAuliffe (D) spoke with the host about an array of issues as he flaunts a run for the 2020 Democratic presidential nomination to challenge President Donald Trump. Among discussing job creation and federal policy, radio host Fredericks asked the former governor about the murder of Saudi journalist Jamal Khashoggi. In return, McAuliffe had some quite interesting comments. The exchange is between 24:26-26:52 in the video recording. The Washington Post contributor and Virginia resident was at the Saudi consulate in Istanbul, Turkey weeks ago, which led to the Central Intelligence Agency (CIA) concluding that de-facto leader of his country and Saudi Arabia Crown Prince Mohammed bin Salman ordered the assassination. Initial reports after the October 2 incident include claims that Khashoggi was allegedly “cut into pieces” then moved out of the consulate, with some saying it was recorded to prove the mission had been completed. CIA Director Gina Haspel reportedly listened to an audio recording from a “listening device” the Turkish government had inside the consulate, detailing that Khashoggi was killed within moments of entering. The Treasury Department sanctioned 17 individuals that are said to have been involved in Khashoggi’s death, including some key Saudi government officials. Nevertheless, President Trump explained that he would like the crown prince to remain in power because of the geopolitical pressure Saudi Arabia places on neighboring Iran. He said, “we may never know all of the facts surrounding the murder of Mr. Jamal Khashoggi,” but it was an “unacceptable and horrible crime,” according to a White House press release. Even though there is evidence that U.S. intelligence officials used in finding out the details of the assassination, which has led to over a dozen people being identified via Treasury Department sanctions, how in the world would Terry McAuliffe have access to it? Wouldn’t a video or audio recordings be classified? For a man who also says that he is “steadfast on where the Democratic Party has to go,” and the fact that he has reiterated that he has had “more fun running…than any man alive,” considering the aforementioned comments, keeping on going and keep on running, Terry.